To help kickstart Domex's 1 Million Clean Toilets movement, Fashion Eggplant is hosting a giveaway wherein 1 lucky reader gets to take home a gift pack filled with all of Domex's new products. After pledging, share the App through Facebook/Twitter, Create your wittiest/most inspiring/ educational status as you pledge. 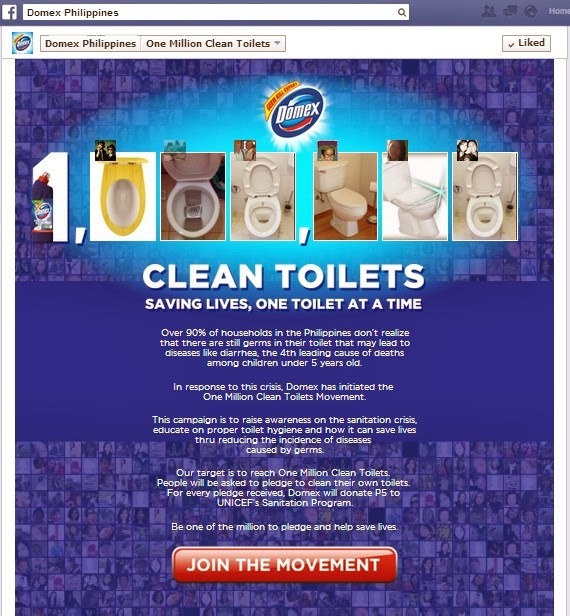 Use the 3 official hashtags (#Domex, #1MCleanToilets #WorldToilet Day). Leave a comment below with your share URL and email address. Contest ends on November 18, 2013 at 5pm.